China’s relentless march towards blockchain development is continuing, with reports indicating that a Chinese city will be supplying capital for a $1.5 billion blockchain fund. 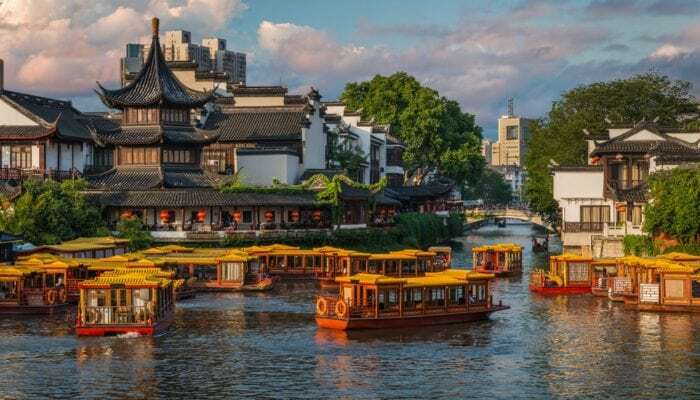 Nanjing, the capital of the Jiangsu province in Eastern China, has just launched a blockchain-centric fund with 10 billion Chinese yuan ($1.48 billion) in funding, as per a report from the technology-focused news source ZDNet. The Nanjing-based fund will be focused on promoting public blockchain projects in China, along with encouraging and facilitating the so-called “token economy” in legacy systems. To make this fund a reality, the city of Nanjing collaborated with the Zhongguancun Blockchain Industry Alliance, a Beijing-based consortium of independent blockchain firms and research institutes from the Chinese government. Representatives from the two independent entities announced the project at the first-ever Industrial Public Chain Summit (IPCS), which was attended by blockchain industry leaders along with prominent governmental officials from Nanjing, namely Luo Qun, who is the deputy secretary of the Community Party of China in the city. The fund has its eyes on promoting and funding the use of blockchain technologies in cross-border platforms, content distribution, healthcare, energy, the transfer and ownership of intellectual property, and environmental protection. Not only will this project provide capital and resources for funding recipients, but it will also aid blockchain companies to move their headquarters to Nanjing in a bid to help the blockchain space develop locally as well as abroad. It was revealed that the first beneficiaries of the substantial amount of funds will be the UDAP Foundation, which is planning to connect real-world items and crypto assets, and the community surrounding the TokenX platform. Commenting on the development of blockchain adoption, Yuandao, the chairman of the Zhongguancun Blockchain Industry Alliance, stated that the use of these technologies is like a snowball effect, with adoption resulting in even more innovative technological breakthroughs. This fund is one of many others creating over the past months in an attempt to spark a “blockchain revolution” in one of the world’s largest economies. Huobi, a popular Asian exchange, recently launched a similar program in a small Chinese province and teamed up with a local technology firm to create a so-called “Global Cultural and Creative Blockchain Lab,” focused on local blockchain firms and startups. As reported by NewsBTC in late May, Xi Jinping, the president of the Chinese government, personally endorsed blockchain technologies in a speech given at a meeting with the Chinese Academy of Sciences and Engineering. The Chinese president noted that blockchain technology has been accelerating the rate of “breakthrough applications,” indicating that he sees the use of this variety of technology in traditional systems. Despite seeming to be falling head over heels with blockchain, Chinese regulators still seem to be adverse to cryptocurrencies, with the Central Bank of China recently calling the country’s ban on cryptocurrency trading a resounding success. According to data cited by Chinese regulators, the Chinese Renminbi (Yuan) now accounts for less than 1% of all fiat-crypto transactions, with this figure being a far cry from pre-ban levels. It is currently unclear whether China will open their arms to cryptocurrencies ever again, but it seems that the country’s love for all-things blockchain won’t be ceasing anytime soon.